I’ve reached yet another milestone in the saga that is writing my first novel. I have finally slogged through a third draft. I say slogged because this draft was by far the hardest. 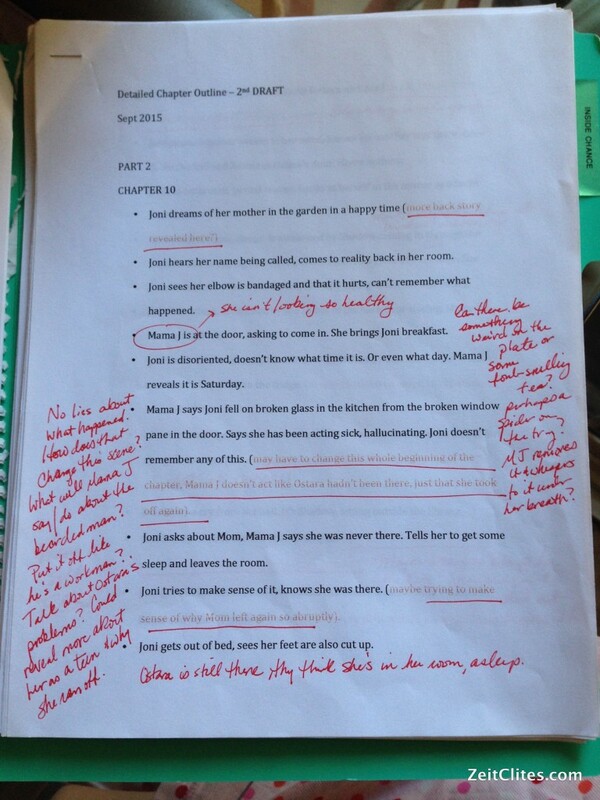 When I completed the second draft, I had five beta readers look it over. Each one then answered a five-page questionnaire (I found a really great one here and tweaked it a little bit for myself). Have I said how much I love my beta readers? It was a tall order but I have really good friends and the thoughtful feedback they provided was invaluable. Thank you Adam, Lita, Kristina, Kristofer and Jeff. You guys rock. After reading through everyone’s responses, I then sifted through them again to find out what issues came up more than once, those clearly needed to be addressed. For the remainder of the feedback that wasn’t as crucial I spent some time sitting with the ideas and decided which ones I thought I should incorporate. I then made a list of all those things. After that, I sat down with the second draft and basically made a beat sheet – a list of everything that happens in each chapter. It was about 40 pages long. But that was INVALUABLE to me, and I’m really glad I had the idea to do. With that beat sheet and my list of notes, I went through with a red pen and marked all the places where I needed to make changes. In some cases, chapters just had a few things, details that needed to be polished or some dialogue that needed tweaking. Other chapters got a big red X through the whole thing because the entire chapter needed to be rewritten. 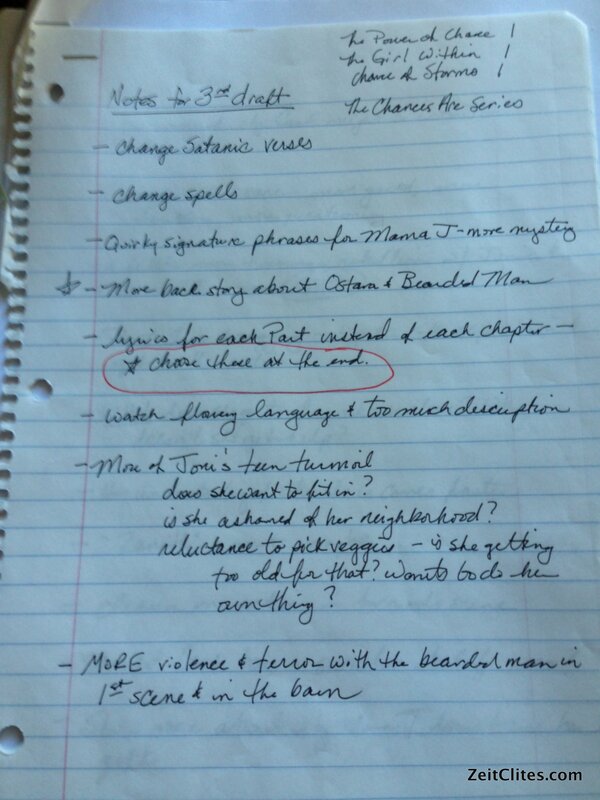 Once that was completed, I took the beat sheet with the notes on it and started back at the beginning of the novel and slowly, SLOWLY, worked my way through to incorporate all the notes. 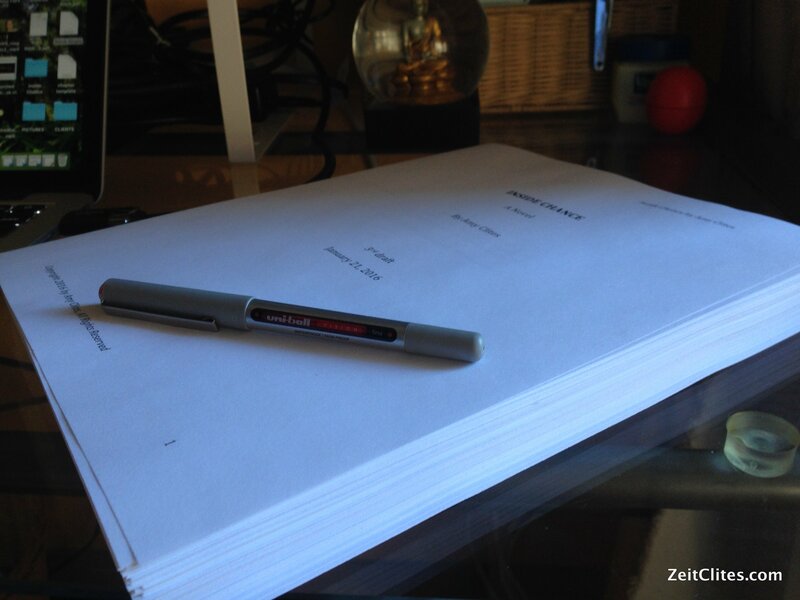 It took me one month to write the first draft. It took me three months to write the second draft. Good lord, it took me about six months, on and off, to complete the third draft. It was hard. It made my brain hurt. It was time to agonize over lines and dialogue and to make them as sharp as possible. Most of the sentences were rewritten. Entire chapters were rewritten, condensed or expanded. I took out about 8,000 words but added in 15,000 new ones. On Saturday, I finished. I printed the fucker out. Here it is. 58,000 words of a young adult novel. This week, I will read through the whole thing again, hopefully in one or two sittings. I’ll make notes as I go, and polish when I’m done. I’ve got someone willing to read it, so it’s time to send it off. That day will be very, very soon. Perhaps as early as next week. I realize that if anything comes of this, I will more than likely be rewriting the whole thing yet again. And possibly several more times after that. I have come to the realization that I think most writers finally come to, which is that when writing a novel, you will probably rewrite the entire thing from beginning to end. By the time this thing is ready for publishing, I’m not sure any of the original sentences will appear in the manuscript. This is painstaking work, but I keep seeing ways to make it better, and I want to serve the story and these characters that I’ve invested in. They’ve taken on a life of their own, and I want to get their story out there.